180 gram thick shiny black vinyl! For those of you who can't find your record players, free* is now available as Ogg Vorbis and lossless FLAC formats, in addition to high-quality MP3s. 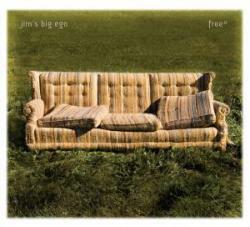 Jim's Big Ego celebrates the release of free* on vinyl with a set at the Living Room in New York City. Wednesday, December 10th, 2008 8pm sharp!